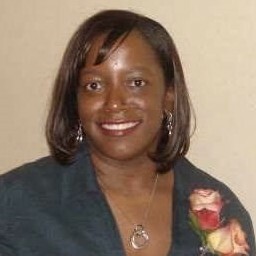 Dr. Shauna Moore Reynolds, Ed.D., LCPC-S, LPC, NCC, ACS is the owner of SMR Counseling Services, an Adjunct Professor at Johns Hopkins University in the Department of Education, and a former Associate Professor at Loyola University of Maryland in the Department of Pastoral Counseling. Dr. Reynolds holds a doctorate degree in Counselor Education and Supervision from Texas Southern University, and provides psychotherapy to individuals, couples, and families in crisis with a focus on anxiety, depression and post-traumatic stress. Dr. Reynolds’ past experiences includes the positions of Abuse Investigator with the Texas Department of Protective Services, and Victim Witness Specialist with The District of Columbia Attorney General’s Office and The United States Attorney’s Office. ?Dr. Reynolds is a Licensed Clinical Professional Counselor in Maryland, a Licensed Professional Counselor in Washington, D.C., a National Certified Counselor, and an Approved Clinical Supervisor. Dr. Reynolds is also a Red Cross Disaster Mental Health Volunteer, and a member of the Yasha Circle Domestic Violence Ministry. Dr. Reynolds is a daughter of a military veteran, and speaks regularly to spouses, families and community resources for veterans. Dr. Reynolds’ father, Capt. Harry Moore Sr., was a veteran of the United States Marine Corps retiring after 20 years. He served in both Vietnam and Desert Storm. Find out more about Dr. Shauna Moore Reynolds, Ed.D. at http://www.smrcounselingservices.com.